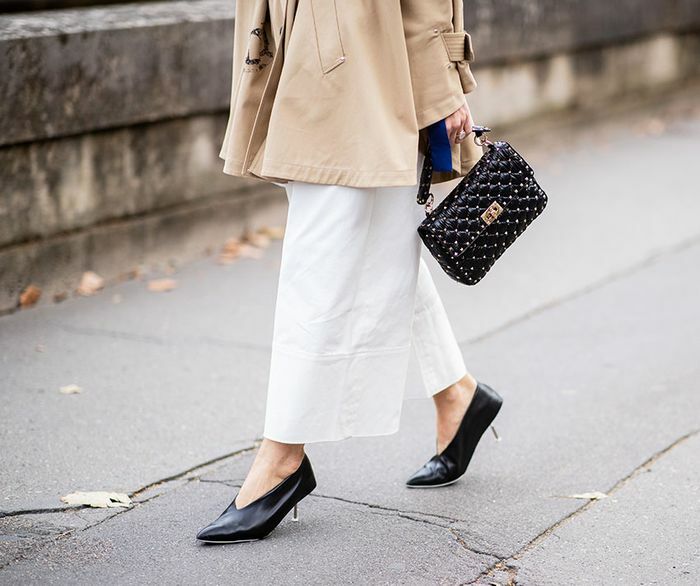 You slip into heels at 9 a.m. and by noon you’re beyond done. Sound familiar? Thought so. 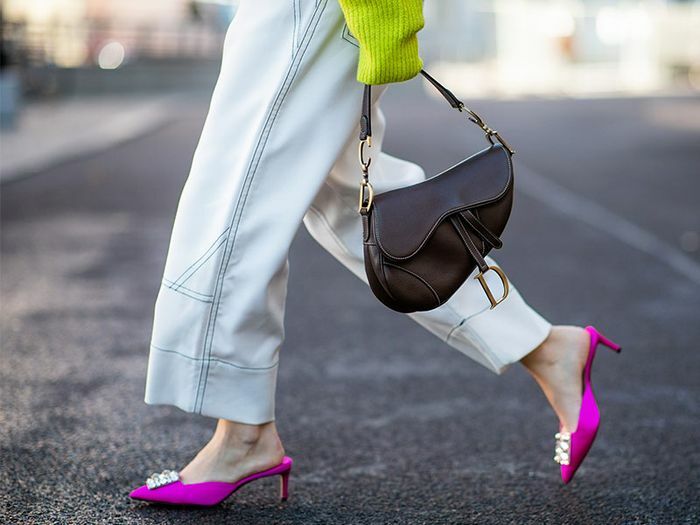 While there are certainly more comfortable heels out there, the majority don’t allow us to prance around for an entire day without some sort of pain. Have you ever thought to yourself during one of your “heel days” when the point of no return occurred? AKA, when you really should've just stopped wearing the heels to avoid a day of pain. Well, we actually chatted with one of our favorite podiatrist friends, Dr. Miguel Cunha, founder of Gotham Footcare, to give further insight on the matter—specifically on the max amount of time you can wear heels before enduring harm to your feet. While the amount of time one can wear heels varies on the type of shoe and the activity one is doing, there are some general timing guidelines to consider. That said, Dr. Cunha does not recommend wearing heels above 3 inches ever (more on that below), but he does have thoughts for heels under this height. In general, though, he stressed "that heels alter the ability of the foot to absorb shock evenly across the foot and to hold up our body weight. A larger sized heel will still force the distribution of weight onto the ball of your foot and compact your toes into a small space which will still lead to the progression of bunions when you are predisposed to having them." Keep scrolling to dive a little deeper into the recommended length of time you should be walking around in heels. And if you're in the market for a new pair (under 3 inches), we rounded up some of our favorites for you too. "For a low heel, 1.5 inches or lower, 4 hours should be the maximum. This type of heel is more ideal if you are standing for longer periods engaging in activities that will require distant walking or dancing." "For a medium heel height, 1.5 to 3 inches, a maximum of 3 hours should be the limit. This type of heel is not really for walking long periods of time or dancing, however if attending a social gathering, limit the physical activity to avoid foot damage and risk injury. Never go over 3 inches in heel height because it changes the biomechanics of how you walk. This leads to shorter strides, and more pressure is placed on the balls of your feet, which throws off your center of gravity putting unneeded and unnecessary stress on your knees and lower back." Next, check out the top-rated black heels at all your favorite stores.